A lifestyle amid the great outdoors yet close to urban delights is the main selling proposition for homes in Myakka River Trails which set these residences apart from other options in the Venice real estate market. While blissfully close to the Myakka River from where this property development got its name, the community also enjoys close proximity to two strategic thoroughfares US 41 (Tamiami Trail) and Interstate 75 leading to many of the points of interest in the property’s southwestern Florida locality. The home sites in this property are quite expansive, ranging from five to fifteen acres. 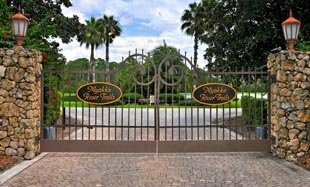 The Myakka River Trails real estate was developed as a gated enclave to enhance the security and privacy of its residents. The residences in this community are custom built featuring such high-end features as tile roofs, crown moldings and designer kitchens. The choice homes for sale in Myakka River Trails are those riverfront residences cocooned by lush nature preserves. A prized find in such a location can have a seven-acre river frontage and feature a residential floor area of almost 4,000 square feet, five bedrooms and four baths. Homes on the short sale list can focus on a four-bedroom residence with a floor space of close to 5,100 square feet. The range for homes of this caliber can start in the high $800s up to the millions. When it comes to recreational facilities, the Myakka River Trails community is self-contained. 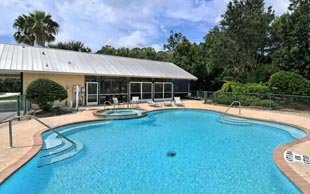 The residents have their own clubhouse, a community pool, lighted tennis courts and a playground. Horse trails and pathways were also incorporated into the development of the property. 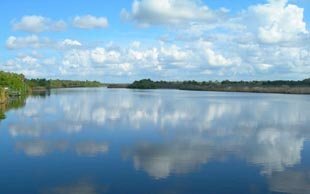 Going for on an outdoor adventure can extend to the nearby Deer Prairie Creek and onward to the Myakka River State Park spanning 58 square miles teeming with tropical flora and fauna. There are guided tours in this park and rentals are available for kayaking, canoeing and biking. It also features hiking trails, camping grounds, and log cabins for rent. For even more variety in outdoor recreation, the beaches of Venice, particularly those at Manasota, are also a few minutes drive from the community. Access to downtown attractions, on the other hand, is provided by the community’s convenient River Road location. Within a few minutes, the residents of homes at Myakka River Trails can access superb venues for shopping and dining around the Tamiami Trail. Among these establishments are nearby Myakka River Oyster Bar as well as restaurants and shops closer to the downtown like Walmart Supercenter, Panda Express and Outback Steakhouse. A short trip to Center Road toward the northwest adds to the choices to include the Sweetbay Supermarket and Venice Pines Plaza, in addition to dining at China One and Mama Leone’s.